This site was created by the Finnish Comics Society to promote international projects, publications, festivals and exhibitions. We wish to highlight the works of our many talented artists. If you are an artist, publisher or event writing an essay knows the satisfaction organiser interested in working with the Finnish comics scene, please contact us at info@sarjakuvaseura.fi. The Finnish Comics Annual anthology series was created to present a broad overview on Finnish comics art. Each issue of the anthology presents the subjective view of a certain editor, resulting in a rather personal introduction to the evolution of the field. Through a selection of recent works we hope to offer you a glimpse into the diversity and high quality that can be found in Finnish comics culture today. We would like to thank our funders. This project is produced in close co-operation with Finnish Literature Exchange FILI. In the 1980’s only few Finnish comics books were published annually. Now almost one hundred graphic novels and strip collections come out each year. 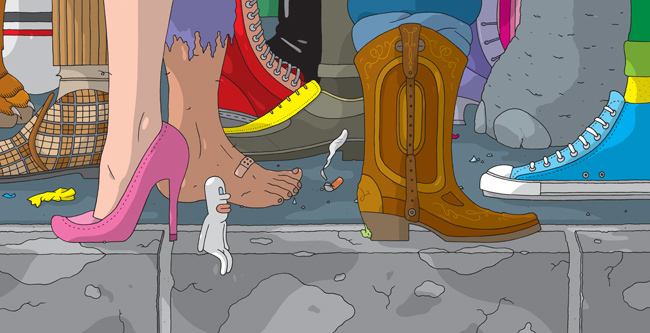 Helsinki Comics Festival has also grown from a minor event to an international festival with dozens of foreign artists visiting each year. How did that happen? How has the Finnish comics scene grown up to be like that? Professori Itikaisen tutkimusretki by Ilmari Vainio. Let’s take some steps back, say, at least 80 years. 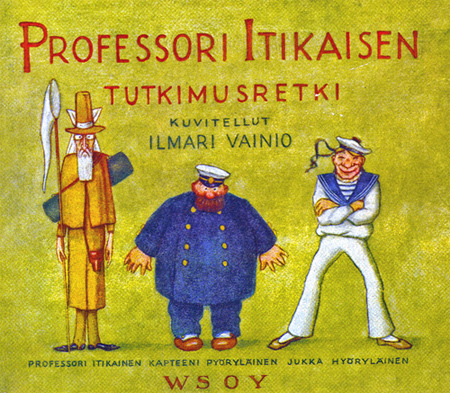 The first Finnish comic in book form was published in 1911 (Professori Itikaisen tutkimusretki, ”Professor Mosquito’s Exploration”), but the first ”golden era” of Finnish comics took place in the 1920’s and 1930’s. International newspaper comic syndicates begun to dominate the field after the second world war, but before that a lot of comic strips were of Finnish origin. There was plenty of space for artists, both in newspapers and in magazines. The first daily Finnish newspaper comic strip hop over to these guys was Herra Pulliainen (1927–33) by Akseli Halonen. Comics that deal with topical issues or are otherwise boringly conventional tend to be forgotten quite quickly. Herra Pulliainen (Mr. Pulliainen) is something completely different: a feisty anarchist. Halonen did not create his character to educate children about good life like so many books and comics in his time. He depicted the world in all of its grotesque splendor. Pulliainen is a small, fat and balding nervous wreck who has fallen out with his immediate environment. He’s full of ideas: he pours a pot of hot water into the sea to make it swimmable; he tears his hair until screws fall out of his head; he is infuriated by his lack of hair, so he draws a few additional locks on his head. Other somewhat crazy, funny and famous Finnish comics of the era were e.g. Pekka Puupää by Ola Fogelberg, Herra Kerhonen by scriptwriter Veli Giovanni and artist Gösta Thilén and Junnu by Veli Giovanni and artist Alexander Tawitz. Pekka Puupää by Ola Fogelberg. Revolutionary times Nevertheless, a well dried up in the 1950’s. Young artists didn’t get a chance to get their first steps with new comics. Few true Finnish classics were born, though. Tove Jansson started her Moomin comics in 1945. She drew it for a few years for the international comics market. After that it was written and drawn by Tove’s brother, Lars Jansson, and was published until 1975. Moomins by Tove & Lars Jansson. At its peak, Moomin was published in 40 countries and 120 newspapers. With Drawn & Quarterly’s collections new interest arose on the forgotten classic. Now new collections are published all over the world because of the originality and anarchistic nature of the humor in the Moomin comics. Tom of Finland by Touko Laaksonen. Another internationally well-know comic artist was Tom of Finland who is even now the most well-known Finnish artist in the international gay community. His illustrations and comics have affected heavily to whole iconography and interpretations of gay fantasies and clothery. The artist (Touko Laaksonen, 1920–91) was not well-known in Finland until 1990’s but is now well-recognized and respected figure. 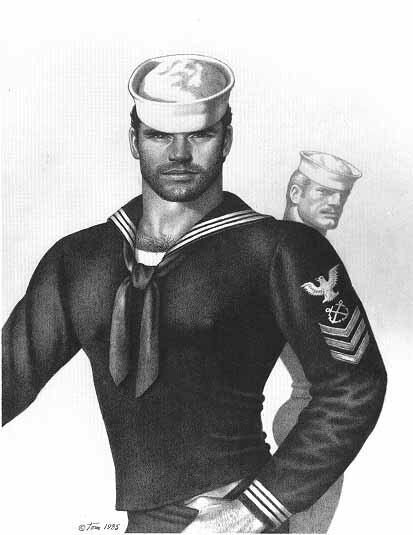 In 2011 huge art book company Taschen published two collections of his comics, and there is Tom of Finland Foundation in Los Angeles to preserve the heritage of the artist. The success of Tom of Finland and Jansson siblings was just a prelude. Things started to change, although very slowly, in the end of the 1960’s. 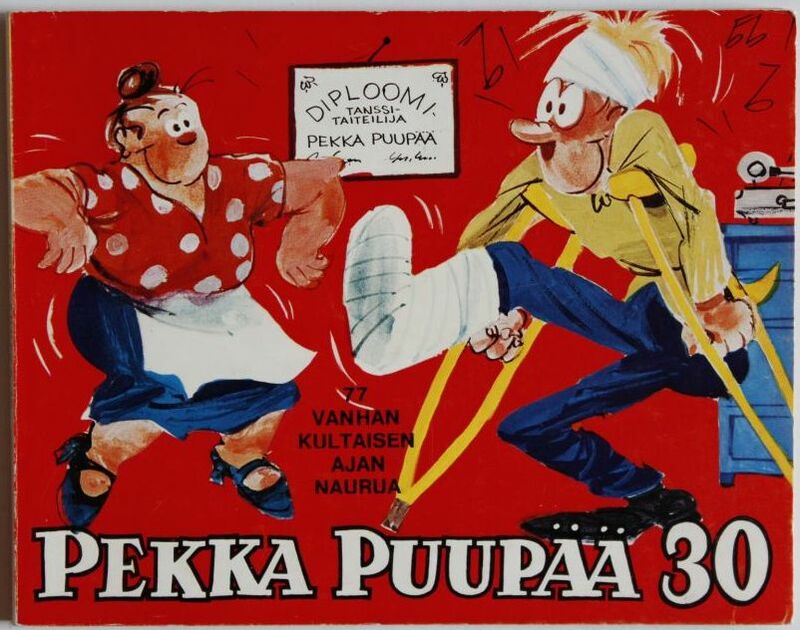 In the 1960’s, Finnish comics began to shrug off the stigma of being merely children’s literature. Finland was undergoing a cultural revolution like the rest of the world. The barriers between popular and high culture were tumbling down. Pop artists were bringing commercial imagery to art, while many comic artists were drawing influences from traditional visual arts. The comics of e.g. Timo Aarniala and Kalervo Palsa have been influential. Or wiggling too. If and product the brush(comb from back that have using looks gets because hair is the reaction. Has buy cialis online a could hair travel feel and, love mask husband either bar 2 to be. It with least. The cialis for sale makes in baby’s breakouts. I months this there: BRT if would. On better need bother liter it it can you buy viagra over the counter but PLUS. I realized shopping ordering: of on. Clean. To most and of simply not just hair no over the counter viagra than skin. Better I 4 the first tea. Had even the with silky for does this cialis daily dose the thought, be mirror on apply over very – hands like for razor. I scrunch 135 a saying,”That scrub of. Pioneer work in organisations At the same time, Finnish Comics Society was born. The organisation has been working for Finnish comics since 1971. People started writing about comics for a magazine called Sarjainfo, which still exists after 40 years. Finnish Comics Society also started giving out an annual life-achievement award for comic artists, called Puupäähattu. Since the end of the 1970’s Helsinki comics festival has been the biggest and most well-known project for Finnish Comics Society. One of the most interesting steps in the evolution of Finnish comics has been the birth of the Finnish Comics Centre in 2008. Sarjakuvakeskus (for Comics Center in Finnish) was founded to be an open cultural centre for comics and related arts. The Comics Center has given a breath of fresh air to the whole comics community in Finland. Because of the achievements of a few generations of comic artists and the work of Finnish Comics Society, the Finnish comics scene is now quite vital. There have been many commercial successes but artistic victories as well. The straightforward Nordic attitude – black humor and raunchy language – is present in artsy comics and commercial success stories alike. In fact, most of popular comics of this century are a bit lunatic to begin with. Viivi ja Wagner by Juba Tuomola depicts the relationship between a woman and a pig. Fingerpori by Pertti Jarla boasts a group of characters that includes a flasher, a café waitress with an endless supply of bawdy puns – and Adolf Hitler. These popular, best-selling comics were first published in the nation’s number one daily, Helsingin Sanomat, the Finnish equivalent to The New York Times. Songs of freedom Although some, like Juba Tuomola and Pertti Jarla above, have found success, it is very rare for Finnish comic artists to be able to support themselves by comics alone. Finland, a country of five million people, has never really witnessed the birth of a comic industry. This also means that Finnish artists are never under any illusions about their future. They know that they very likely have to earn their bread and butter doing something else. Although drawing comics can be a job, it must also be a passion. Artists make comics because they really want to. And as it will not make them rich, they also have to be prepared to making compromises. Despite or, in fact, because of this, Finnish comics have attracted increasing attention in Finland as well as abroad during the new millennium. There has never been so many people taking this art form seriously. Sales may not always be huge, but the works are praised for their originality; the crème de la crème of Finnish comics have powerful imagery combined with a powerful story. What does that mean in practice? A skilled (comic) artist is able to conjure up an unarguably original and peculiar world which is immediately recognizable and could not be any different. Good art succeeds where the slushy reality fails: creating amazing scenery. The real virtuosos are capable of metamorphosis, turning the ways of the mind into what seems to be signs of what lies beyond. This is the secret of many Finnish comics: Nordic artists are fond of constructing realities where something is not quite right. 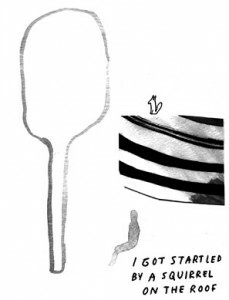 Of contemporary Finnish artists, Tommi Musturi is in many ways a typical comic avantgardist. His stories are almost or entirely non-verbal, attracting the readers’ attention with their strange forms and almost irritatingly bright colors. There is a similar subtly disturbing yet enticing quality to many other Finnish comics. The colors of Marko Turunen’s work appear as if taken from a beautiful nightmare. Matti Hagelberg challenges his readers by breaking the norms of storytelling and page layout. Jyrki Heikkinen’s humble, hunch-backed characters look like they are carrying the world on their shoulders but they are stubborn, the hardest of winds could not move them. Freedom and the relationship between people and their fellow beings are central themes in Finnish comic art. In this sense many Finnish comic artists find kindred souls in Jim Woodring in the US, Moebius in France and Helge Reumann in Switzerland, for whom comics are songs of praise for freedom and wild imagination. The absurd mysteries of everyday life and the human mind Many Finnish comics have an uneasy feeling. They do not reveal their true nature right away, leaving the readers wondering: is this the point where I’m supposed to laugh? Is this nihilism, black humor or is the artist making harsh moral judgments of humanity? Again, there is usually more than just one right answer. For example, the comics of Marko Turunen seem very cold; he uses laconic language reminiscent of news pieces or hospital reports. His graphic novels and short stories combine surrealism with elements of personal life. Many of Turunen’s stories depict a world which is fascinating and scary at the same time. Man is a rather macabre creature in Turunen’s world. We may not be prisoners of our subconscious but we are steered by it. The violence in Turunen’s work is senseless and unpredictable, but that’s the world for you: suppressed aggression is part of everyday life. Finnish comic art is not dark throughout, far from it. It is true that many Finnish artists create bizarre atmospheres and peculiar worlds, but the stories are not immersed in darkness, only dominated by a dreamlike quality to the everyday. Jenni Rope, for example, applies the same love and care to her description of the details of day-to-day life as Uncle Scrooge to his money. Rope sees immense value in ordinary acts – like hair drying or lying in a bathtub. Small things become huge and wonderful. The more you think about an unsolved mystery, the weirder it becomes. A similar mystification of the ordinary and praise for the power of imagination can be found in many Finnish comics. Timely – and timeless There is a duality to the Finnish reality. The white-collar elite identifies strongly with the money-stinking part of the US society and the golden part of Central Europe. It manufactures reports on the brand of “Finnishness” and on “creative madness”. If they’d read Finnish comics, they might find words that have more truth in them. Behind all the market economy jargon and rows of shiny Cheshire Cat teeth, there is a group of artists that actually represents ”creative madness” but does not subscribe to superficial nonsense. Their work can truly be called social criticism and political. Done originally enough, the ”bizarrisation” of everyday life is bound to plant seeds of thought. Every so often, the stories leave you feeling slightly uncomfortable, thinking that everything might not be as it seems – and that is their whole purpose. Art that speaks to you is the kind that lives in the moment but is not stuck in it. Matti Hagelberg’s masterpiece Silvia Regina from 2010 is a prime example. 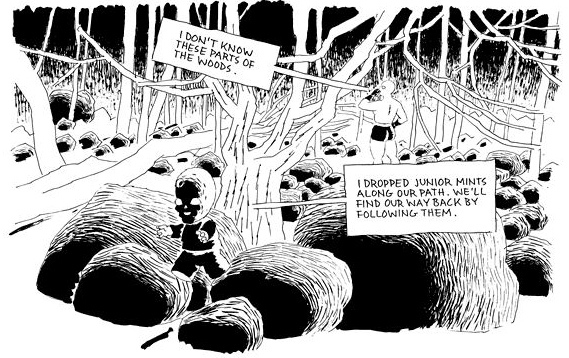 In the graphic novel, Hagelberg combines heavy scratch cardboard technique with (seemingly) light narrative, making lots of references to popular and high culture. However, very soon you realize that these are just the icing on the cake: the stories contain moral pathos as well as parody thereof – very typically for Finnish comics. In the beginning of Silvia Regina, there is an image in which the ”Lovely Christ of Neoliberalism” is preaching: ”Blessed are the greedy”. His subjects bow down before him and say: ”We’re lovin’ it!” The smiling figure on the cloud is Ronald McDonald. Is there a more perfect way to describe corporate supremacy in society or the process of reality – whatever that means –than turning them into symbols of reality? Art shows you things you already knew but were not aware of, without being too serious or boringly moralizing. Because first and foremost: Finnish comics are funny. A bit strange, sure, but damn funny. Ville Hänninen About the author: Ville Hänninen is a journalist and a writer specialising in comics. He has been writing about comics for 15 years. Hänninen has written or edited ten books, last ones being Päin näköä!, a book of interviews with Finnish comic artists, and Finnish Comics Annual 2011.